„Rent a lodge or stay in a hotel?“ Many Icelandic travellers ask themselves this question before they go on holiday. Iceland, as a holiday destination in the North, has been attracting an increasing number of visitors in recent years. The eruption of the Eyjafjallajökull volcano, which paralyzed air traffic in Europe for several days, as well as the successful appearance of the Icelandic national football team with its friendly and enthusiastic fans, contributed to making this North-Atlantic island even better known. Numerous travel reports, photos and videos shared all over the world by enthusiastic travellers that have visited Iceland continue to contribute to Iceland’s popularity as a holiday destination. This trend will continue in the coming year. 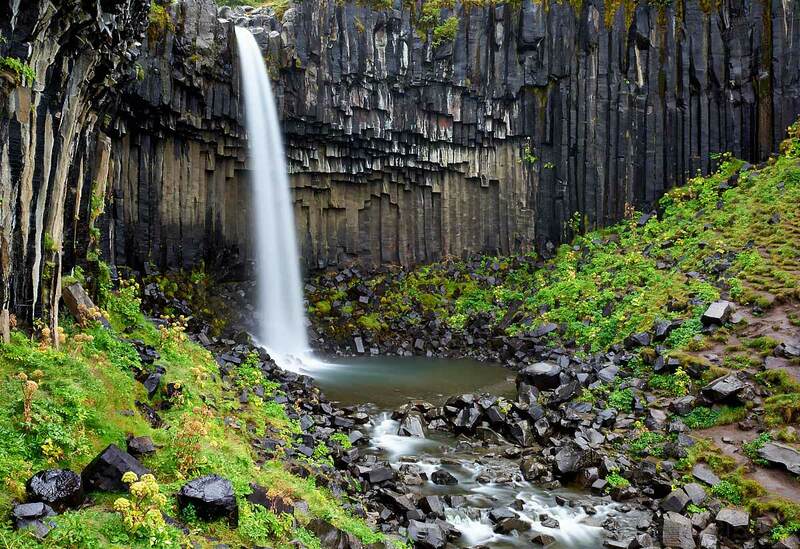 And there are plenty of different option of offer – both package tours and individual tourists will experience an unforgettable holiday in Iceland. If you really want to enjoy Iceland to get inner peace or with family and friends, you should plan your holiday in Iceland yourself. 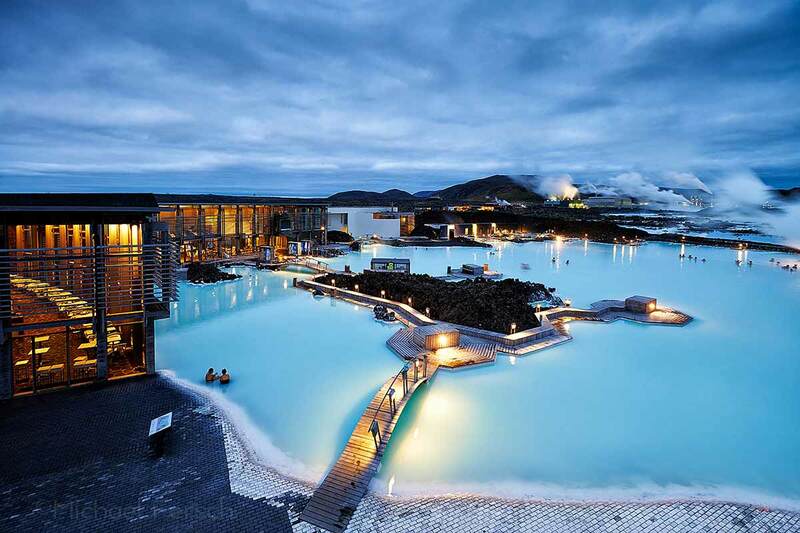 In contrast to many other holiday destinations, Iceland can easily be discovered on your own. Many holiday homes can be rented around the island. There is a large number of reasonably priced holiday homes on offer, especially in the south of Iceland. And you can also find suitable accommodation in West Iceland, such as on the Snaefellsnes peninsula (Snæfellsnes) or in North Iceland. Holiday homes offer a good starting point for individual discoveries and adventures. When you stay a holiday apartment or holiday home, you are completely independent of set meal times and other guests, in contrast to staying in a hotel. They also allow you to have more space and enjoy the privacy of your own accommodation. In most of our holiday homes, you can use the house’s own hot tub, which is already included in the rental price, on your own. And when you are several people travelling together, renting a holiday home also brings you a cost advantage compared to hotel bookings, as the rental for the entire house is split between you. The possibility to cook and take care of oneself at a reasonable price also helps to save money on travel expenses. With a rental car, which you can get upon arrival at the airport in Keflavik, all destinations along the main roads are easily accessible. Start your Icelandic adventure in the immediate vicinity of the airport with a relaxed visit to the Blue Lagoon on the Reykjanes Peninsula. Swimming in wonderful blue thermal waters in the middle of volcanic landscapes is a special experience. The water is said to have positive effects on people with skin problems. A visit to the Blue Lagoon is ideal either directly after your arrival in Iceland, or just before you return to the airport. The Blue Lagoon near the village of Grindavík is a little off the beaten track. Our two holiday homes Brekka and Langholt are only 1.5 hours drive away. Iceland is particularly well known for the sights of the Golden Circle. The Golden Circle is a round trip that can be started from the capital, Reykjavík. Golden Circle includes the UNESCO World Heritage Site Thingvellir (Þingvellir), the Gullfoss waterfall and the hot springs and geysers near Geysir in the Haukadalur geothermal area. 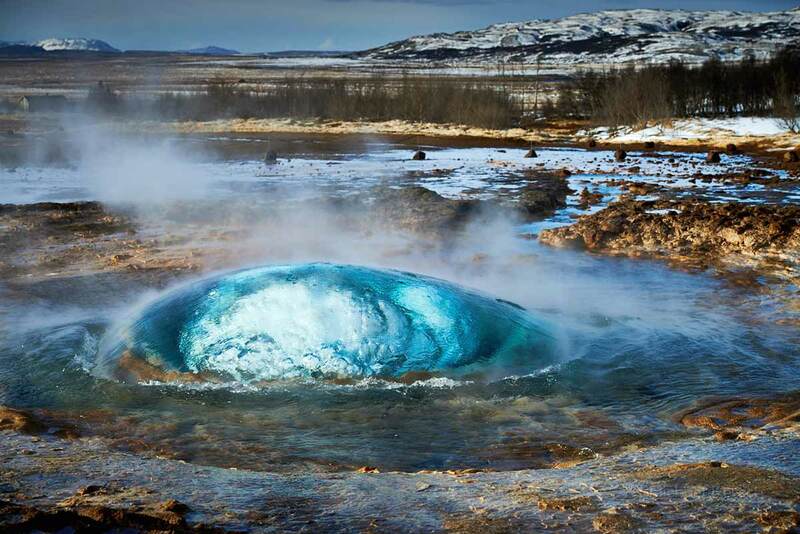 The Icelandic hot spring Geysir gave the name to hot springs worldwide. Rent our holiday home Holt to discover the attractions of the Golden Circle without having to spend a lot of time driving there. In addition to the main attractions on the Golden Circle, there are numerous sights on the south coast of Iceland. The south of Iceland is therefore particularly popular with visitors. Driving along the ring road to the east offers spectacular views of the Icelandic coastal landscape. Most waterfalls along the ring road number 1 in the south of Iceland are easily accessible. 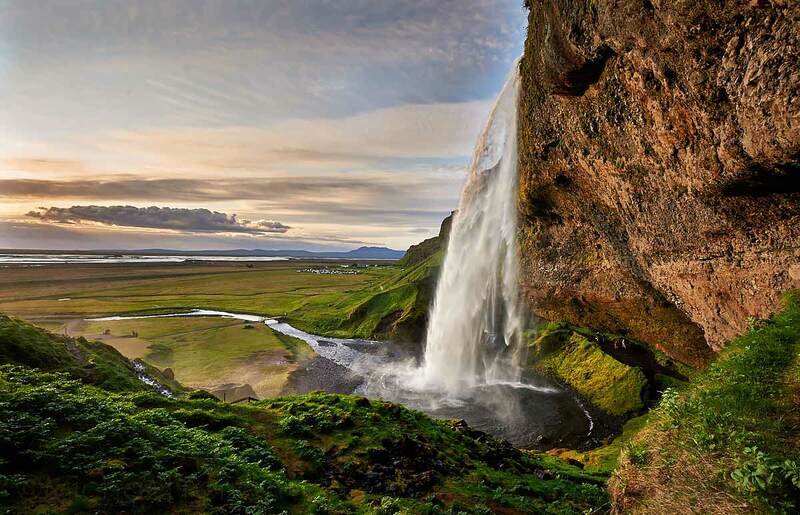 From our holiday home Holt you can reach the Seljalandsfoss waterfall in 1,5 hours by car. The Seljalandsfoss is a waterfall you can walk behind completely. Please note that this is mostly possible in the summer season. If you come to Iceland during the winter season, the path behind the waterfall might be closed. The reason for this is the high risk of slipping due to the icing of Seljalandsfoss, as well as the danger of icicles falling down. Seljalandsfoss is particularly photogenic in the evening hours, when the setting sun shrouds the waterfall facing west in magical light. If possible, plan your trip accordingly. A little further to the east you will find Skógafoss, which faces south. Provided the sun shines, the waterfall is bathed in warm light from morning to sunset. 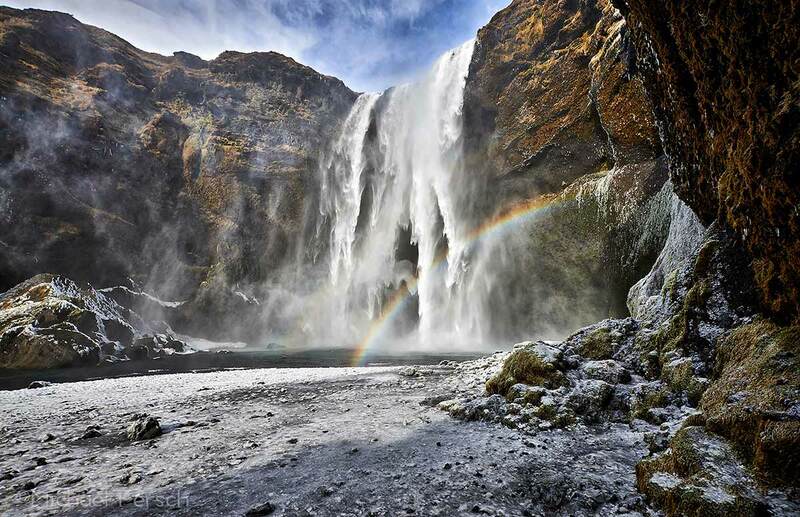 You can often admire the Skógafoss with rainbows. Behind Skógafoss there is the famous Eyjafjallajökull volcano. 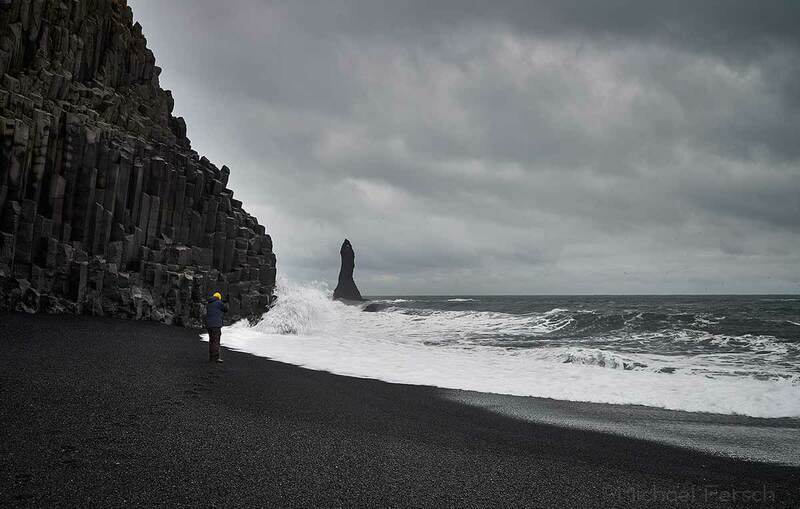 Other main attractions in the south of Iceland are the rock gate on the Dyrhólaey peninsula, the famous black beach of Vík (Vík í Mýrdal), and the popular rocky peaks of Reynisdrangar by the Reynisfjara beach near Vík. 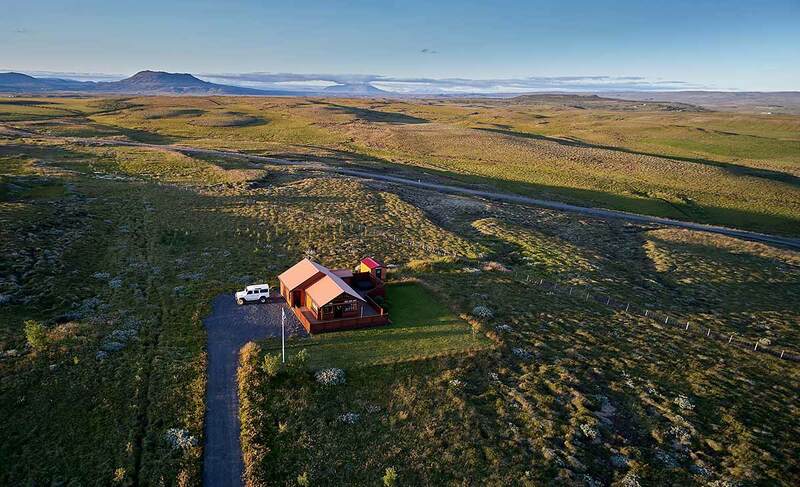 If you want to discover the Skaftafell National Park and the glacier lagoon Jökulsárlón during your holidays, you should rent a holiday home in the southeast of Iceland. From our holiday home Holt, the journey to these destinations for a day trip is quite far away. Both Skaftafell National Park and the glacier lagoon Jökulsárlón are characterized by glaciers, and Skaftafell National Park offers numerous hiking possibilities. In less than an hour’s walk from the National Park Visitor Centre, for example, you can reach Svartifoss waterfall – a wonderful nature experience! Longer full-day tours are also possible. If you are looking for adventure, we recommend a guided glacier hike in the Skaftafell National Park. 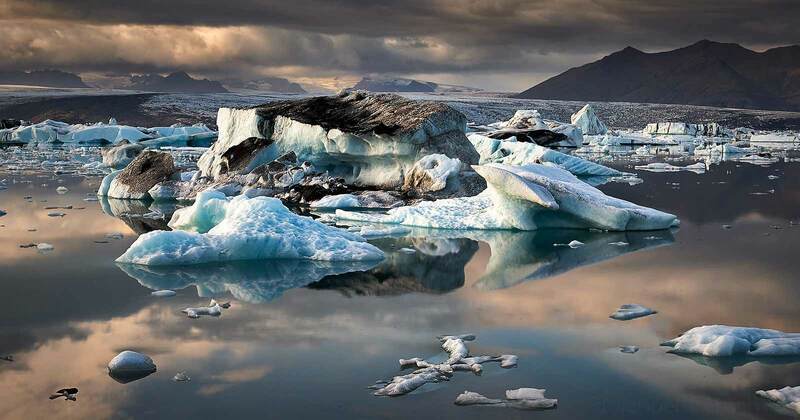 The spectacular scenery of the glacier lagoon Jökulsárlón awaits you further to the southeast. A must-see for every Icelandic holidaymaker in the southeast of Iceland. In the past, this natural wonder has repeatedly served as the backdrop for numerous major cinema productions, including a couple of James Bond movies. The filming of Batman also took advantage of the spectacular Icelandic nature by the glacier lagoon Jökulsárlón. 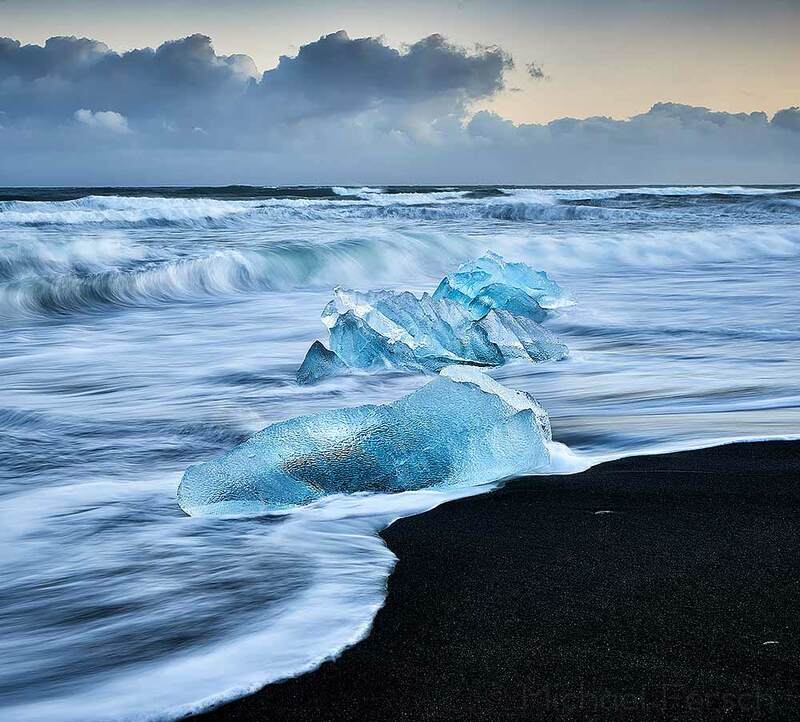 The special feature is that the glacier lake and the opposite black sand beach create a different and everchanging sceneries with each visit, due to the different ice formations of the icebergs, and diverse lighting. ← Northern lights: mostly up north?